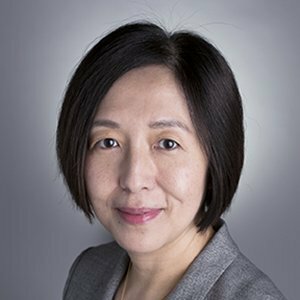 Xiaoyun Yu is an associate professor of Finance and Arthur M. Weimer Faculty Fellow at the Kelley School of Business, Indiana University. She obtained her Ph.D. in Finance from the Carlson School of Management, University of Minnesota. Her research interests are in the areas of theoretical and empirical corporate finance. Her current research focuses on information economics, security design, initial public offering, financial institutions and systems, and political economy of finance. This paper examines how a shared cultural background between analysts and firms under coverage affects information asymmetry in financial markets. To disentangle cultural proximity from geographic proximity, we extract a sample of firms publicly traded in the U.S. but headquartered in regions sharing Chinese culture (“Chinese firms”), and identify a group of U.S. analysts of Chinese ethnic origin. We find that analysts of Chinese ethnicity issue more accurate forecasts about earnings of Chinese firms. The rise in forecast precision is more pronounced among first-generation Chinese immigrants. Market reaction is stronger if analysts of Chinese ethnicity revise their forecasts upwards or issue favorable recommendations about a Chinese firm. Our results indicate that cultural proximity mitigates information asymmetry that adversely affects foreign firms, especially those from emerging markets. Information-based theories of financial intermediation focus on delegated monitoring. However, there is little evidence on how markets discipline financial intermediaries who fail at this function. This paper exploits the direct link between corporate fraud and monitoring failure and examines how a venture capital (VC) firm’s reputation is affected when it fails to prevent fraud in its portfolio companies. We find that VCs who fail to prevent fraud experience greater difficulty in taking future portfolio companies public, and that the negative effect prevails over ten years after the fraud surfaces. In addition, reputation-damaged VCs interact differently in the future with their limited partners, other VCs in the community, and initial public offering (IPO) underwriters because they are perceived by these groups as inefficient monitors. We study the impact of directors with foreign experience on firm performance in emerging markets. We use a unique dataset from China and exploit that at different times, Chinese provinces introduced policies to attract highly talented emigrants. These policies led to an increase in the supply of Chinese individuals with foreign experience in the local labor market and ultimately increased the likelihood that firms in these provinces had directors with foreign experience in comparison to similar firms elsewhere. We document that valuation, productivity, and profitability increase after firms hire directors with foreign experience. Furthermore, corporate governance improves and firms are more likely to make international acquisitions, to export, and to raise funds internationally. These findings suggest a channel through which the emigration of the best and brightest may lead to a brain gain and provide first time evidence on how board directors transmit knowledge on management practices and corporate governance to firms in emerging markets. Formal finance involves costly information acquisition about distant entrepreneurs, while relationship-based finance allows financiers to fund a narrow circle of close entrepreneurs without engaging in costly information acquisition. We show that in developing economies with low capital endowments, relationship-based finance is optimal because only high-quality entrepreneurs receive funding. However, formal finance may emerge in equilibrium and has the only effect of shifting rents from entrepreneurs to financiers. In more developed economies with higher capital endowments, formal finance becomes necessary to prevent low-quality entrepreneurs from being funded. Nevertheless, relationship-based financing may persist in equilibrium and capital may be allocated to low-quality close entrepreneurs even when there are high-quality distant entrepreneurs. We construct a mortality table for U.S. public companies during 1985–2006. We find that the age-specific mortality rates of firms initially increase, peaking at age three, and then decrease with age, implying that the first 3 years of public life are critical. Financial intermediaries involved around the “public birth” of a firm (e.g., venture capitalists (VCs) and high-quality underwriters) are associated with lower firm mortality rates, sometimes for up to 7 years after the initial public offering (IPO). VCs reduce mortality rates more through natal financial care than through selection, whereas high-quality underwriters affect firm mortality more through selection. Using a proprietary database from a large Chinese state-owned bank, we examine whether information evolved from banking relationships predicts commercial loan default by industrial firms. We find that the bank's relationship information is significantly linked to the incidence of default, and that its contribution to prediction accuracy is larger than any hard information. Furthermore, the effect of relationship information is stronger among firms that have a more sustained banking relationship. Our findings indicate that, at least in the emerging markets, a bank's relationship information still matters for large firms, despite the fact that hard information for such firms is abundant. In this paper, I survey the recent research in corporate finance on financial securities frauds. I structure my review around the three subjects in this literature: studies of internal and external factors that elicit managerial incentives for fraudulent activities, studies on regulatory and market-based mechanisms that help to deter or detect fraud and on what affects the efficiency of such mechanisms, and studies on the economic and social consequences of financial fraud. I outline the empirical challenges related to this line of research and discuss opportunities for future studies. This paper examines the relation between corporate lobbying and fraud detection. Using data on corporate lobbying expenses between 1998 and 2004, and a sample of large frauds detected during the same period, we find that firms’ lobbying activities make a significant difference in fraud detection: Compared to nonlobbying firms, on average, firms that lobby have a significantly lower hazard rate of being detected for fraud, evade fraud detection 117 days longer, and are 38% less likely to be detected by regulators. In addition, fraudulent firms on average spend 77% more on lobbying than nonfraudulent firms, and they spend 29% more on lobbying during their fraudulent periods than during nonfraudulent periods. The delay in detection leads to a greater distortion in resource allocation during fraudulent periods. It also allows managers to sell more of their shares. This paper investigates how a firm’s capital structure choice affects the informational efficiency of its security prices in the secondary markets. We identify two new determinants of a firm’s capital structure policy: the liquidity (adverse selection) premium due to investors’ anticipated losses to informed trading, and operating efficiency improvement due to information revelation from the firm’s security prices. We show that the capital structure decision affects traders’ incentives to acquire information and subsequently, the distribution of informed traders across debt and equity claims. When information is less imperative for improving its operating decisions, a firm issues zero or negative debt (i.e., holding excess cash reserves) in order to reduce socially wasteful information acquisition and the liquidity premium associated with it. When information is crucial for a firm’s operating decisions, the optimal debt level is one that achieves maximum information revelation at the lowest possible liquidity cost. Our model can explain why many firms consistently hold no debt. It also provides new implications for financial system design and for the relationship among leverage, liquidity premium, profitability, and the cost of information acquisition. We examine how a firm's incentive to commit fraud when going public varies with investor beliefs about industry business conditions. Fraud propensity increases with the level of investor beliefs about industry prospects but decreases when beliefs are extremely high. We find that two mechanisms are at work: monitoring by investors and short-term executive compensation, both of which vary with investor beliefs about industry prospects. We also find that monitoring incentives of investors and underwriters differ. Our results are consistent with models of investor beliefs and corporate fraud, and suggest that regulators and auditors should be vigilant for fraud during booms. We read all news items that came out between 1996 and 2000 on 458 Internet initial public offerings (IPOs) and a matching sample of 458 non-Internet IPOs (a total of 171,488 news items) and classify each news item as good news, neutral news, or bad news. We first document that the media were more positive for Internet IPOs in the period of the dramatic rise in share prices and more negative for Internet IPOs in the period of the dramatic fall in share prices. We then document that media hype is unable to explain the Internet bubble: A 1,646% difference exists in returns between Internet stocks and non-Internet stocks from January 1, 1997, through March 24, 2000 (the market peak), and the media can explain only 2.9% of that. We investigate IPO market efficiency using a sample of equity carve-outs offered during the period of 1985-2005. Unlike IPOs examined in previous studies where trading during the pre-IPO book-building period does not exist and trading on the IPO date is rationed, in equity carve-outs, investors can trade in the non-rationed market for shares of the parent, which holds a significant fraction of the subsidiary. We find that the subsidiary’s initial day return is significantly related to its parent’s return over the book-building period, but unrelated to its parent’s contemporaneous return. Neither the pre-IPO price revision of the subsidiary nor the return to the parent on the initial trading day can be predicted. While the portion of the subsidiary’s initial return unpredictable from information available during the book-building period is significantly related to its parent’s contemporaneous return, the predictable component of the initial return is not. We interpret these results as evidence consistent with market efficiency. On August 12–13, 2005, the department of finance at the Kelley School of Business, Indiana University, collaborated with the Review of Financial Studies to host a conference titled “The Causes and Consequences of Recent Financial Market Bubbles.” This article begins with our overview of the themes and findings of the conference, and it ends with the questions that the literature has yet to answer.